HR professionals have a lot to keep track of. Healthcare data to stay compliant? Check. Contact information for the employee directory? Check. Social Security numbers and pay history? Yes to all that, plus everyone’s shirt size and favorite candy bar. 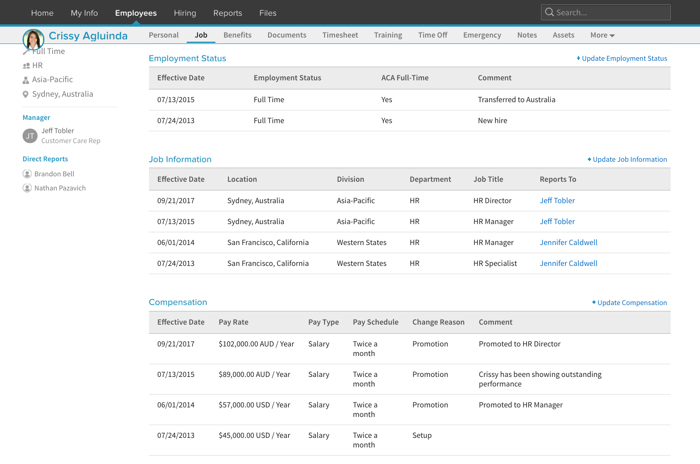 With BambooHR, tracking employee records and information has never been easier. 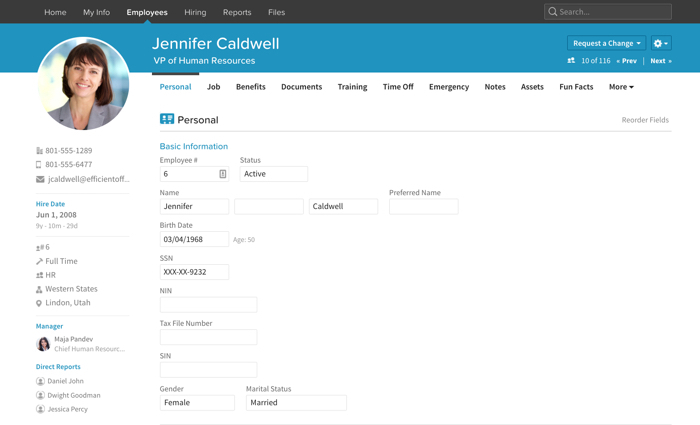 From standard categories like personal and pay info to as much custom data as you want, you can manage all of your key data in one secure HRIS database. Plus, it’s accessible from anywhere at anytime, so you’ll always have the information you need. Say farewell to filing cabinets. Try secure, accurate data storage with a free seven-day trial of BambooHR. That’s where BambooHR comes in. 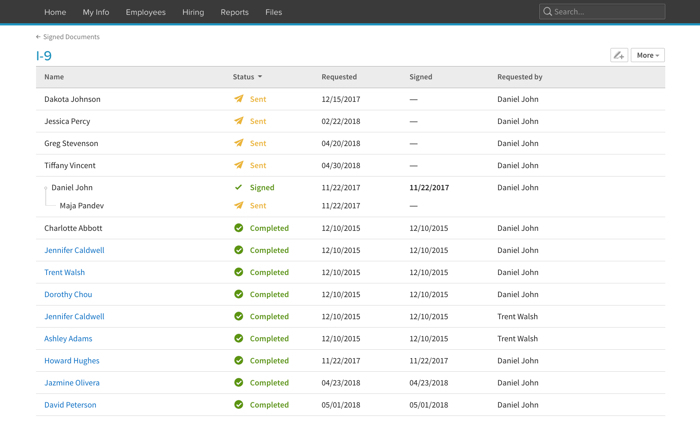 With your data stored in one organized, accessible database, you can enter, update, and check employee records in an instant, and you’ll never have to second-guess your accuracy again. We handle compliance so you don’t have to. We take confidential data seriously, and we know you do too. After all, you’re not tracking trivial tidbits—you’re managing sensitive employee information. Because of that, our database management system ensures pinpoint accuracy and enterprise-level security for your data. We take extra precautions to keep your data safe while making it easier for you to stay compliant. Choose your own customizable management system. We know every company is unique, and we can customize your HR database to track anything you need—whether it’s office equipment preferences, t-shirt sizes, or favorite music genres. Instead of keeping these extra details on a separate spreadsheet, you can store them alongside other employee data you’re already collecting. In one database, you’ll have all the information you need to keep your organization running smoothly. We’ve got the memory banks of an elephant. Our employee management software doesn’t kick out the old when you bring in the new, and that applies to employees as well as data. With no worries about running out of storage room, you can keep historic information—like salaries, job titles, and past employee records—for as long as you need it. Because you never know when you’ll need it.